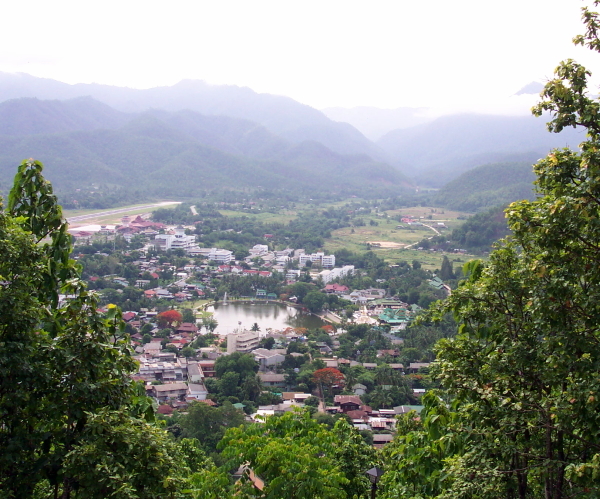 Mae Hong Son town - all of it! It's hard to argue that any place you can fly to is remote or isolated, but as your small (72 seats) plane threads its way through the mountains and onto the equally small runway practically in the center of town, you get the definite feeling that you're well off the beaten path. The attraction to Mae Hong Son, as opposed to more mainstream destinations such as Chiang Rai, is it's small-town atmosphere and architecture heavily influenced by neighboring Burma. With many people looking for more 'adventure' in their vacations, Mae Hong Son's wild rivers are also a big attraction.